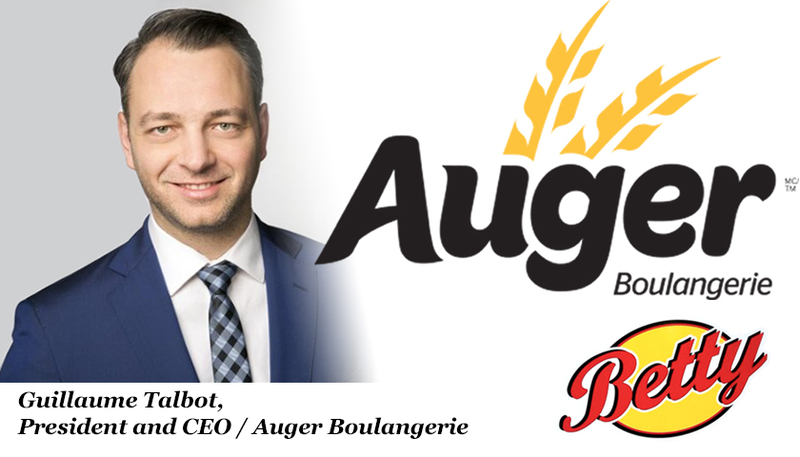 St-Jérôme, August 14, 2018 – Guillaume Talbot, President and CEO of Boulangerie Auger in St-Jérôme, is proud to announce the company’s acquisition of the Betty brand from Boulangerie Lanthier, headquartered in Baie-d’Urfé in the Greater Montréal area. The transaction will be completed by December 1st and will allow Boulangerie Auger to expand its reach in Quebec and take market share in Ontario. The acquisition will also maintain over fifty jobs and create nearly thirty jobs at the St-Jérôme plant. All the sales and distribution jobs will be preserved since Betty’s operations will be integrated into Auger’s to form a single team. For Guillaume Talbot, this transaction sends a clear and positive message that benefits Boulangerie Auger as well as all other local bakeries. “It’s been a while since our industry got such good news. Our industry is constantly trying to think of creative ways of building on its strengths to offer customers high quality breads made responsibly by local workers with local products. With this transaction, I am pleased to contribute to the development of an industry with tremendous potential and major economic impact. We will continue to develop our business with the same values of quality and sourcing that have guided us since we started,” said Guillaume Talbot. Mr. Talbot concluded by saying that he is certain that this announcement will have a positive impact on business relationships with Quebec and Ontario’s large retailers. Founded in St-Jérôme in 1949, Boulangerie Auger now has over fifty employees and offers a variety of quality sliced breads made with flours produced from grains grown exclusively in Quebec. 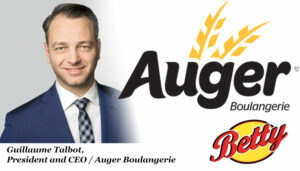 Present in most of Quebec’s grocery chains, Boulangerie Auger makes breads for private brands and also supplies many businesses in the restaurant industry. Established in 1932, the Betty brand is present on the Eastern Ontario and Quebec territory. Betty offers quality sliced breads made with unbleached flour and serves most of the territory’s major grocery and restaurant chains, as well as several private brands.